A new kids movie came out a few weeks ago. As a rule I avoid kid movies, especially if I think it’s something my boys would have liked. But the new Disney/Pixar movie “Inside Out” peaked my interest, especially as a newly minted counselor. A kid movie that explores the emotions of our lives, I had to go see it. It was a fantastic movie. My little counselor heart was excited about all the good lessons on emotion in this movie. There is so much I can pull out of the movie to help clients work through different things. But for this blog post I will try to stick to what the movie can teach us about grief. WARNING: If you haven’t see the move and are planning to . . . . the rest of the blog post has spoilers. The basic premise of the movie follows the story of Riley and her parent’s decision to move the family from Minnesota to San Francisco. The story is told through the characters that represent Riley’s different emotions: Joy, Anger, Disgust, Fear and Sadness. The emotion characters guide Riley through life from their Headquarters in her brain. Up to the point where the movie starts Joy has been the dominant emotion in Riley’s life. But after the move to San Francisco Sadness, though she tries not to, begins taking over. Joy, instead of allowing Riley to feel sad over the move, tries to stop Sadness any way she can. At one point Joy relegates Sadness to a small section of Headquarters and tells her to “stay put”. Sadness was trying to express the grief Riley felt over leaving her life behind. But Joy wouldn’t allow it. Things eventually escalate and both Joy and Sadness get sucked out of Headquarters. Leaving Anger in charge. Joy was so busy trying to stop Sadness they both ended up being “suppressed”. Generally when you suppress one emotion you suppress them all, even the good ones. When emotions are suppressed often all that’s left on the surface is anger. As Joy and Sadness try to make their way back to Headquarters they run into Riley’s imaginary friend from childhood, Bing Bong. During one of their adventures Bing Bong loses his rocket wagon – the last tie he had to his life with Riley. Bing Bong sits down and starts to grieve the loss of the wagon. But Joy, who can’t allow any sadness, tries to “happy” him out of his grief. This is so much like society. Everything has to be happy and good. After a certain amount of time others no longer tolerate grief. “Get on with your life”, “It’s time to move on”, “So and so would want you to be happy” become common phrases grieving people hear. But you cannot “happy” your way out of grief. In the movie Sadness simply sat down next to Bing Bong and listened. As she sat with him, she validated his feelings and his right to feel sad. She talked about what he lost, why it was important and allowed him to cry. Only then did Bing Bong begin to feel better. Sadness and grief must be felt and expressed. That’s how healing happens. This process cannot be rushed. Through other events on their journey back to Headquarters Joy begins to understand the role Sadness plays in Riley’s life. Joy learns that Sadness is needed. For true joy to exist we need to feel the sadness in our lives. Because, only when we acknowledge our sadness and work through it can we experience joy. By the end of the movie they make it back to Headquarters. Joy leads Sadness to the control board and allows her be in charge. For the first time since the move Riley fully feels the sadness she’s been fighting against. She finally talks to her parents and expresses how much she misses Minnesota. After also expressing their sadness over what they left behind, Riley’s parents pull her into a hug. Back in Headquarters Sadness reaches over and pulls Joy’s hand down to the controls where they both move the lever. It is at this moment in the movie Riley feels both Joy and Sadness at the same time. I cried. One of the most surprising things I learned in my grief is that you can feel 2 opposite emotions at the same time. I still vividly remember the first time it happened to me. I was at the beach with my sister, her family and several friends. We were having a great time. But while I was happy and having fun, I was also at the same time sad and grieving. It was so weird to feel happy and sad at the same time. I have felt this strange mix of emotions in my life many times since the accident. 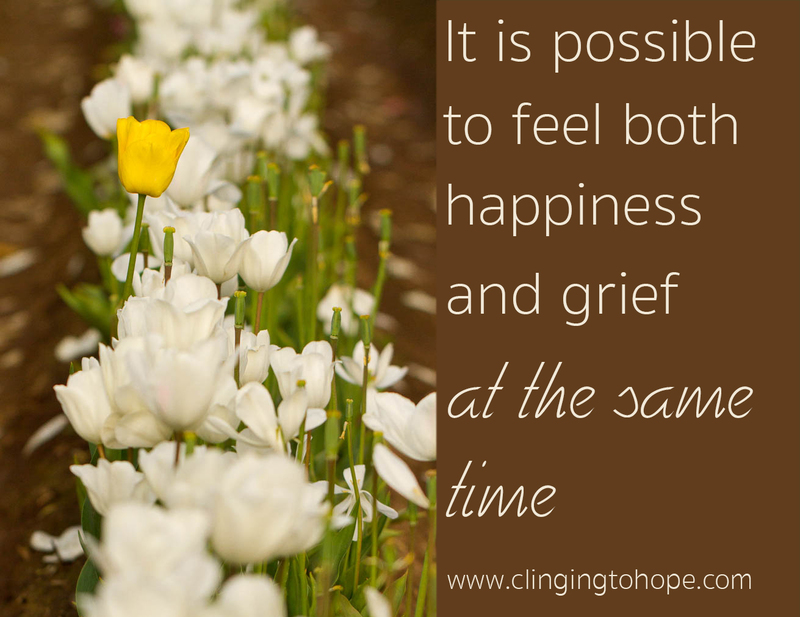 One of the things I learned early in my grief is that I can feel the depth of my grief and at the same time be happy. Or I can be having an amazing time with friends and its tinged with the sadness of grief. It’s a strange and wonderful feeling to be able to feel both grief and joy at the same time. It would not have been possible if I had ignored my grief. For it is only in allowing sadness to wash over us that we can eventually feel true Joy. And for completely unrelated giggles I’d like to leave you with my favorite part of the movie. As Joy and Sadness are getting on the Train of Thought, Joy knocks over 2 boxes filled with stuff. One of the boxes is labeled “Facts” the other box is labeled “Opinion”. As the stuff inside each box spills all over the floor of the train car, Joy exclaims “Oh no, facts and opinions got all mixed up”. Bing Bong, as he is randomly throwing stuff back in the boxes says “Oh don’t worry that happens all the time”. I laughed so hard. I, too, tend to avoid kids movies for a different reason: “I’m too cool for that” . LOL so skipping yet another animated film (my husband on the other hand…) would not be unusual for me. I am SOOOOO glad I read your synopsis. 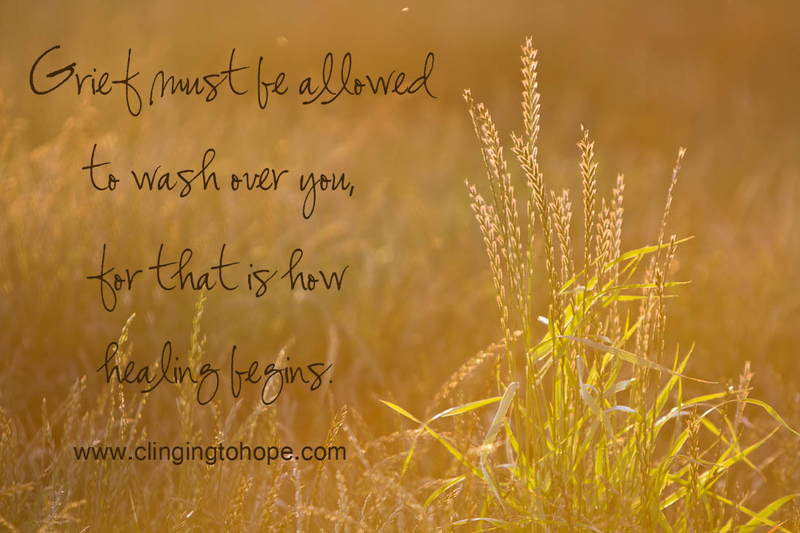 As a former Grief Counselor, I often see the struggle in others where grief is concerned. (I became one in a manner similar to your situation). Like I was, in some cases, emotions were for the weak and to be weak was taboo. Your cousin, Diana, played a very important role in my life allowing me to become “the person God intended me to be” by keeping me company through many, many tears and painful life passages. I am glad you told me about Riley and now plan to see it! Thanks Teresa! God Bless You! As a counselor I’m sure you can find many other great themes on emotions that people avoid in this movie. There was so much in the movie that was beyond the main story that can be used to help people learn to deal with their emotions.